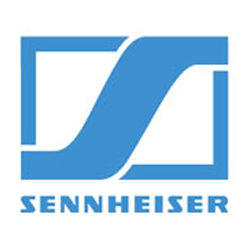 Panasonic design and manufacture Pro AV projectors, outdoor signage displays, interactive signage displays and video wall signage. 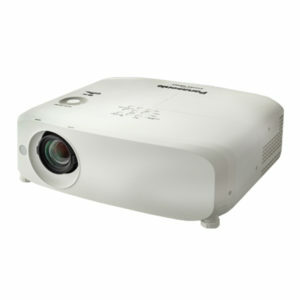 Panasonic’s products are suitable for a wide range of Pro AV applications. Panasonic is one of the largest Japanese electronics producers and is a household name in both the domestic and commercial marketplaces. Its “visual system solutions” products encompass professional displays, projectors and video conferencing technologies and combine the reliability, quality and industry-leading technological developments associated with the Panasonic name. 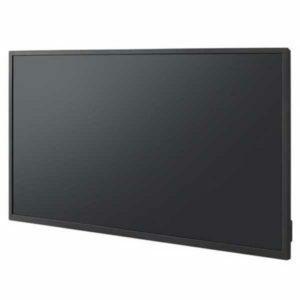 Panasonic's EF1 Series stylish LED backlight entry level flat panel displays, offer a high level of efficiency and easy connectivity for a wide range of applications from digital signage, corporate and education. Featuring a built-in USB media player enabling video and still-image playback without set-top or pc. Panasonic's LFE8 Series Full HD LCD thin bezel displays, are professional display solutions for indoor use across a wide range of applications from digital signage, corporate and education. Featuring a built-in USB media player enabling video and still-image playback without set-top or pc. 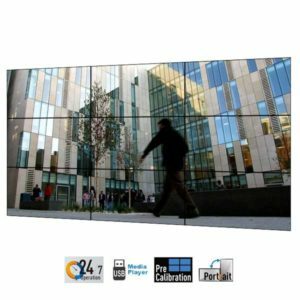 Panasonic’s SF2 Series highly reliable 24/7 signage displays with E-LED backlight, are ideal for rental & staging, digital signage, education and corporate environments. 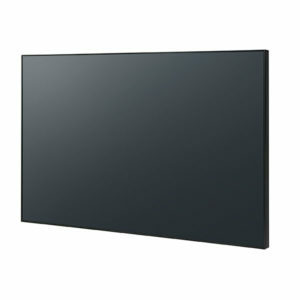 Featuring wide-panel IPS technology, bright easy to see images. They are efficient to run and easy to use. 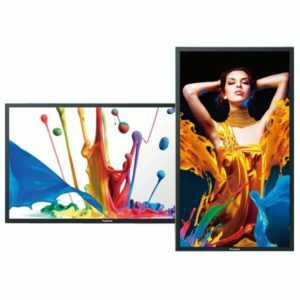 Panasonic's SF1H Series high brightness professional displays with LinkRay transmission function, allows the sending of digital information to smartphones using an app, making them ideal for signage and entertainment applications. 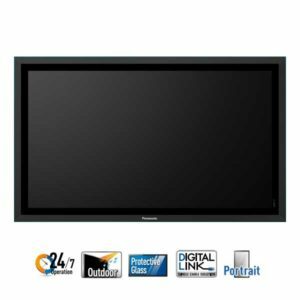 Panasonic’s LF80 Series high brightness professional flat panel displays are highly reliable for continuous 24/7 operation. Featuring high picture quality with 700 cd/m2 brightness and IPS panel for excellent off-axis visibility in bright environments. 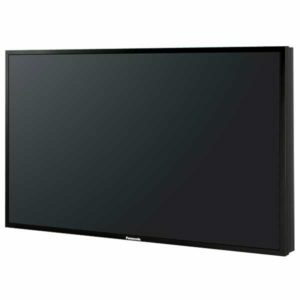 Panasonic's LF50 series Full-HD LCD displays offer brightness and clarity in a slim lightweight design with only 89 mm depth. They feature a special eye-bolt system enable ceiling-suspension for greater installation flexibility. Panasonic's LQ Series of 4K display monitors are already being used in a wide range of professional environments including public information displays, store signage, rental and staging, broadcast studios and meetings rooms. 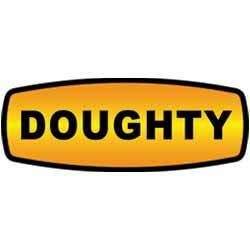 Thanks to their high impact resistance and a 24/7 operation capability, they’ll withstand the toughest conditions. Panasonic's AF1 Series System on a Chip (SoC) solution allowing third-party software to be installed without any specific development. 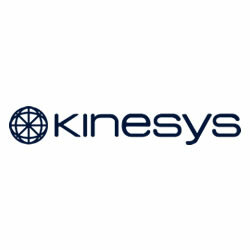 Cost effective and self contained solution for high impact digital signage. 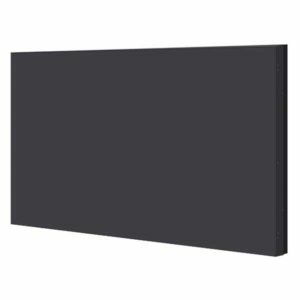 Ideal for public information display and store signage. Panasonic’s LFX6 series of tough, outdoor LED displays are ideal for many different commercial purposes and applications. Highly visible in sunlight, IP graded, resistant to rain and dust, and easily expandable as part of a wider display system, they’re the all-weather, all-round performers that you can rely on. 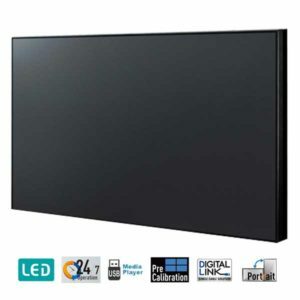 Panasonic’s TH-55LFV60 Video Wall LED Display is a brilliant picture quality frameless backlight display for video wall installations. The TH-55LFV60 is the ideal solution for signage and corporate applications. 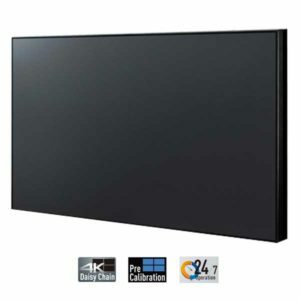 Panasonic's LFV70 Series combines the elegance of ultra-thin bezels with a class-leading feature set for 24/7 reliability in video wall signage and control room applications. Panasonic's LV8 series are highly reliable, frameless, high performance video wall displays for professional users seeking a 4k video wall solution. 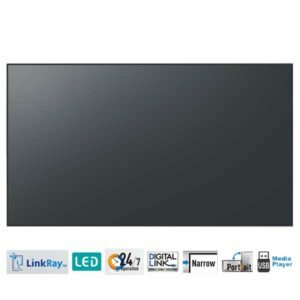 Panasonic's TH-55VF1H, is a 55″ video wall display with a 1.8mm ultra narrow bezel frame for optimal multi-screen layouts. A highly reliable backlight professional display for video wall installations, ideal solution for rental & staging, signage, broadcast and control room applications. Panasonic's AF1-SST Series Interactive Signage Displays with ShadowSense Multi-Touch are easy to use, highly touch accurate with fast response time making them perfect for public signage. Panasonic's BF1 Series Interactive touch screen LED backlight flat panels are equipped with professional features for efficient collaboration and learning, including wireless support for almost any device. 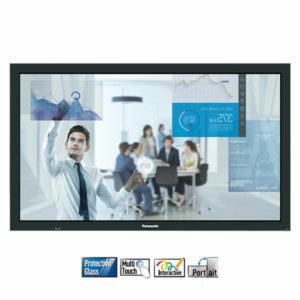 Panasonic's TH-65BFE1 Robust Interactive Touch Screen is designed for collaboration. 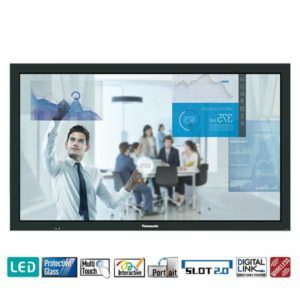 A large multi-touch display screen available with a wide array of functions from Panasonic's Whiteboard Software, making it ideal for education and meeting rooms. 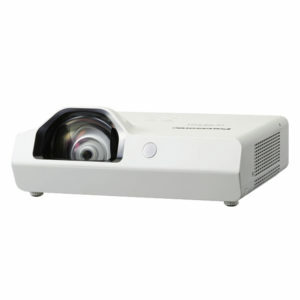 Panasonic PT-TX320 Series Short Throw Single Lamp 3-Chip LCD Projectors are designed for education and corporate applications, with a long lamp life and wireless built in. 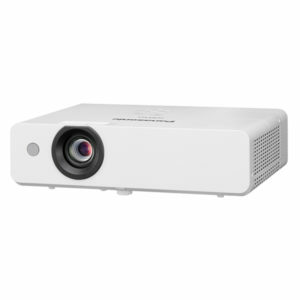 Panasonic PT-LB423 Series Single Lamp 3-Chip LCD Projectors are bright, compact and easy to use portable projectors designed for education and corporate applications with long-life-lamp of 10,000 hours. 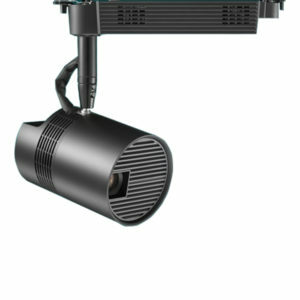 Pansonic PT-VW350 Series Single Lamp 3-Chip LCD Projectors is the industry’s lightest and smallest 4000 lumen class LCD projector, with capability for wireless mirroring of PC and Android™ devices. 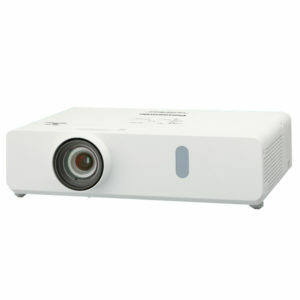 Panasonic PT-VZ580 Series Single Lamp 3-Chip LCD Projectors are high performance, high brightness, portable projectors made for collaboration. Panasonic PT-JW130 Series Space Player Laser 1-Chip DLP Hybrid Lighting and Laser Projection bringing a unique and effective way to attract attention in retail spaces, restaurants and more.